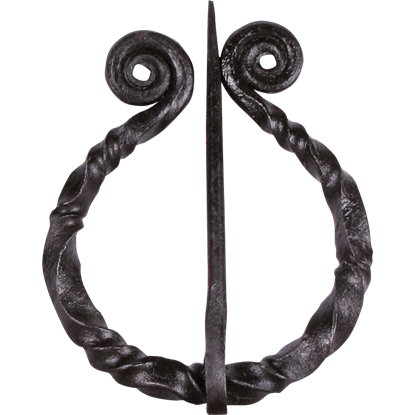 Whether you are a Celt or a Norse Viking, add authenticity to your live action portrayal with the Bernhard Penannular Cloak Pin. 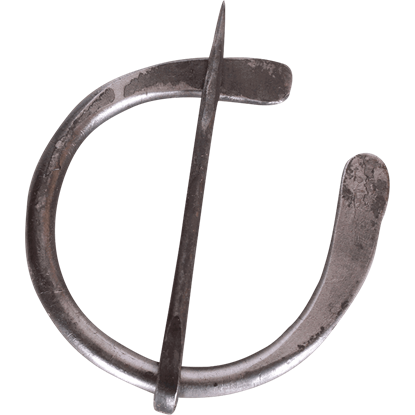 This historical clothing fastener follows the open ring brooch design worn from 600 AD and beyond. 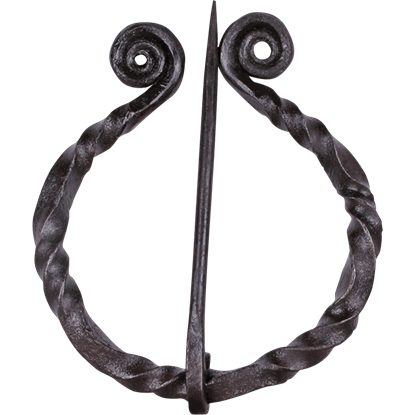 With its traditional design, the Bernhard Penannular Small Cloak Pin is a great accessory to a wide range of historical personas. From as far back as 600 AD, the open ring brooch was the clothing fastener of choice in the Celtic world. In the ancient lore, elves and faeries were known to dwell in peace and harmony with the forests and the plants, and it shows in their jewelry. 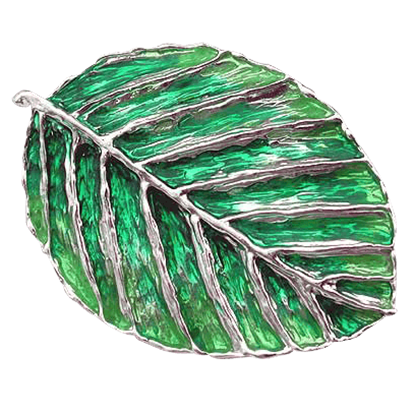 This Elven Leaf Brooch is inspired by the elven love of leafy surroundings and deep forests. 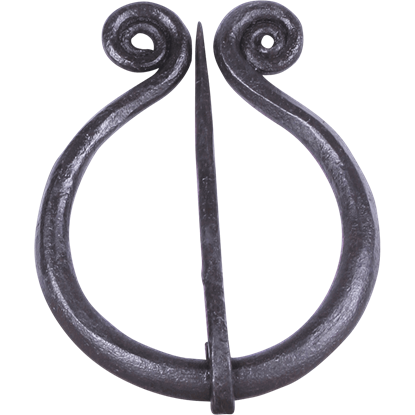 With its simple design, the Flattened Penannular Cloak Pin is a great accessory for both LARP and historical costumes. The open ring brooch served as the go-to fastener throughout the Middle Ages, perfect for a wide variety of roles. 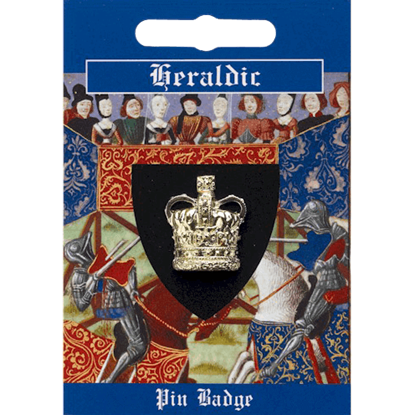 Nothing speaks of royalty more-so than the crown, and this Gold Heraldic Crown Pin Badge depicts one of the most famous. Based on the Crown Jewels of the United Kingdom, this badge recreates one of the most famous crowns in the world. This Gold Heraldic Fleur de Lis Pin Badge is a handsome accent, one that also happens to feature a history. Originally, fleurs de lis were favored as royal accents, which embodied nobility, poise, and royal power when used as symbols. The reign of Henry VII ended the War of the Roses. In his desire to unite the Houses of Lancaster and York, the king created a conjoining herald. 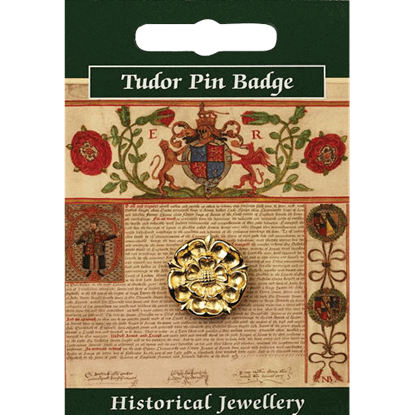 Celebrate the rich history behind the Union Rose with the Gold Plated Tudor Rose Pin Badge. The Magna Carta was sealed under oath by King John in 1215 and became one of the most important constitutional documents in history. 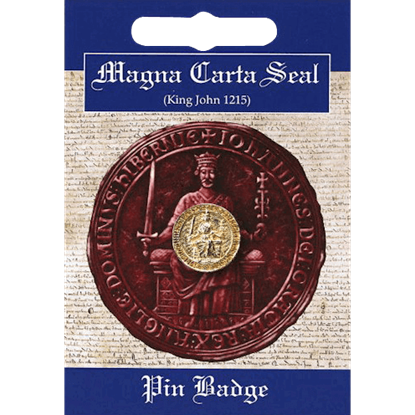 The Golden Magna Carta Seal Pin Badge offers a reproduction of the regal seal of King John. 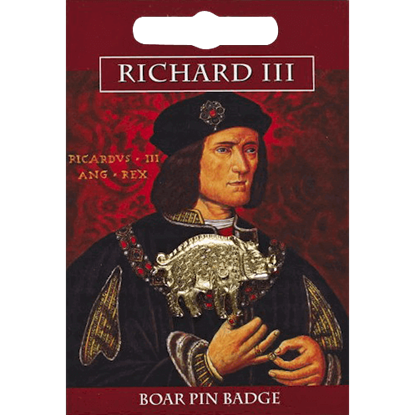 Inspired by the discovery of the remains of Richard III on the site occupied by Greyfriars, Leicester in 2012, the Golden Richard III Boar Pin Badge displays a replica of the boar emblem used by the monarch in fine detail. 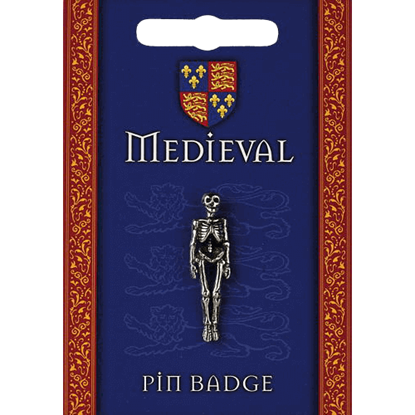 The Heraldic Skeleton Pin Badge depicts the symbol that served a grim warning on many a battlefield. Throughout history, no better way was found to create fear in the hearts of foes than displaying the fleshless corpses of the fallen.